Why Is Vitamin C Serum Good For Your Face? So, Which Is The Best Vitamin C Serum? 2018 Update: Is Skinceuticals Vitamin C Serum Still Working For Me? Vitamin C Serum is becoming one of the most popular and potent methods of obtaining healthy, glowing skin. After months of deliberation, I decided that this ‘anti-aging’ serum may actually improve the condition of my skin. For comparisons sake, I decided to try and compare two premium products from reputable brands. The first is Ole Henriksen’s Truth Serum Collagen Booster, an antioxidant-rich vitamin C serum that’s said to reduce wrinkles, fine lines and add a glow to the face. The second is SkinCeuticals’ C E Ferulic, a serum designed to protect the face from UV cell damage, while reducing fine lines and wrinkles via a synergetic blend of antioxidants. Before I launch into a detailed review of these two anti-aging serums, I want to discuss what makes them so effective at reducing age spots, fine lines, and free radical damage. Everyone wants healthy, glowing skin. All of the above benefits sound great in theory, but what actually makes the serum effective? To begin, let’s discuss the science behind the main ingredient: Vitamin C.
Vitamin C is a powerful, naturally occurring antioxidant. The human body can only absorb a small portion of vitamin C when ingested, according to research Motti Eisenbach provided. However, dermatologists discovered that it can be used as a topical treatment to help UV damaged skin cells. The process involves free radical elimination, which occurs when electrons are passed to those that have no charge. After the age of 40, the production of collagen, a structural protein found in our bodies, begins to decline. This leads to wrinkles and more aged-looking skin. Collagen is synthesized in part by vitamin C. A quality vitamin C serum can help boost the synthesis of collagen, restoring elastin, and improving the overall elasticity of the dermis (skin). Studies conducted on the topical application of vitamin C serum have shown it to increase collagen production in individuals of all ages. This is why serums are typically marketed as being able to reduce fine lines and wrinkles. One of the many stated benefits of vitamin C serum is the reduction and brightening of age spots. From a scientific standpoint, this is an accurate belief. Vitamin C contains compounds that act as a depigmenting agent and inhibit melanin formation. The majority of the serums on the market contain a variety of vitamins and antioxidants which further increase potency and effectiveness. 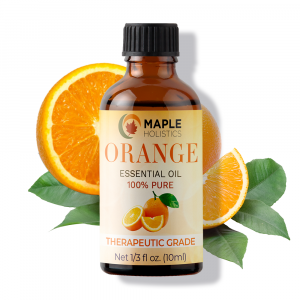 There are also several different types of vitamin C derivates that can be used in serums. Some are more effective than others. I will cover this point during the product reviews. Choosing an effective vitamin c serum can seem like a daunting task. However, there is science behind the magic, and the choice should be based on specific indicators. Serums with low levels of active ingredients should be avoided (although extremely high concentrations of 20+ percent should be avoided as well). I chose the two vitamin C serums based on their unique ingredients and overall composition. I also compared each serum in three different categories: ingredients, effectiveness, and value. Now, time for the reviews! The Ole Henriksen’s brand is known for its intimate connection with cosmetology. I chose to test their Truth Serum Collagen Booster for its unique ingredients and stated benefits. Ole Henriksen’s truth serum collagen booster. The company claims that their anti-aging Truth Serum is formulated to provide a complete vitamin c skin treatment, fortified with vitamins and antioxidants for maximum potency. The formula is supposed to help smooth lines and reduce damage from environmental aggressors, all while providing penetrating hydration. Other ingredients include PEG-12 Dimethicone and Yellow #6. The main active ingredient in Ole Henrikesen’s Truth Serum is 3% sodium ascorbyl phosphate. This is an alternate for the more widely used vitamin c derivative, absorbic acid. However, unlike absorbic acid, sodium ascorbyl phosphate is more stable and does not oxidize nearly as quickly. This allows it to consistently deliver maximum effectiveness while maintain a longer shelf life. The next ingredient, sodium hyaluronate, is a derivative of hyaluronic acid, one of the most popular vitamin c serum ingredients. Sodium hyaluronate is able to deeply penetrate the dermis and hold 1,000 times its weight in water. This allows it to fill the connective fibers between the collagen and elastin in the face, creating a softer, smoother appearance. Like most natural anti-aging treatments, the effects are temporary, but the added moisture can help protect against further environmental skin damage. The inclusion of vitamin E in the Ole Henriksen Truth Serum is very important. This is because Vitamin E is one of nature’s most effective antioxidants and moisturizer retainers. Vitamin E helps prevent damage to cell enzymes by protecting the cell membrane from free radicals. The vitamin also helps increase the skin’s natural protection against Ultra Violet rays, specifically UVB. Some of the inactive ingredients made me question Ole Henriksen’s commitment to providing consumers with a natural solution. For example, the serum contains an orange pigment known as yellow #6. A study conducted by CSPI indicated that Yellow #6 can contain carcinogens. The serum is applied directly to the face, so this is something to consider. Another questionable ingredient in Ole Henriksen’s Truth Serum is PEG-12 Dimethicone, a silicone that can contain the contaminate Ethylene Oxide. This contaminate has been linked to various types of cancer. Also, PEG-12 Dimenthicone is also not recommended for use on broken skin. Summary: Overall, Ole Henriksen’s vitamin c serum contains effective ingredients, but unnecessarily combines them with potentially harmful additives. I applaud them for using, Sodium ascorbyl phosphate, a more stable and effective derivative of vitamin c, but fault them for using Yellow #6 and PEG-12 Dimethicone. If the true goal is to help the skin repair naturally, why add unneeded chemicals that provide no benefit whatsoever? I’m not sure. To gauge the effectiveness of Ole Henriksen’s Truth Serum, I used it in the morning for a total of 8 weeks, taking note of the absorption rate, application, and the overall results of the c serum. Results will vary for every serum! The serum came in a nice clear glass pump bottle. When I opened the bottle, I was greeted by a pleasant, yet strong, citrus-like scent. It reminded me of oranges. Not repulsive at all. I applied the serum in the morning immediately after my shower when my face was free of oils, creams, and lightly damp. One pump provided more than enough for my entire face and upper neck. I immediately noticed that the serum was little slick, and remained on my face for a several minutes before the absorption began. All the while, the scent was very invigorating! My skin did not get irritated at all during application, and I was happy with the overall texture and consistency (which is water-based). My only complaint is that it felt a tad sticky after being applied. I’m not sure if this is due to the synthetic ingredients. The feeling was a little unpleasant. I started to see noticeable results after 3 1/2 weeks. (This number can, and will change based on an individual’s skin type and age). My personal results were somewhat slow to appear. So, I compared my “new face” to some older pictures in order to see if there was a noticeable difference. My ‘new’ face had a more luminous glow and felt noticeably softer. The serum also provided me with much-needed hydration, helping plump my face and even out fine lines and wrinkles. Now to keep everything in perspective, I did not look 10 years younger! However, the changes that occurred were noticeable and I definitely felt the difference. 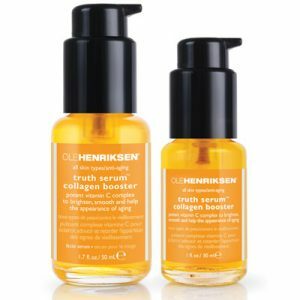 Ole Henrikson’s Truth Serum is priced at $47.96 for 1 fluid ounce. Assuming it’s used once a day, I approximate it should last for 4-5 months. Even though I enjoyed the Truth Serum’s effectiveness, I wasn’t happy with the unnatural ingredients or the slight stickiness. I would not be interested in adding this brand to my skincare routine before testing out other brands. Summary: Semi-expensive considering the average market price. I liked the results but it could do without the ‘dirty’ ingredients and the sticky feel. Their C E Ferulic serum is supposedly revolutionary. The company claims that it provides advanced protection against free radicals, reduces signs of aging, and remains waterproof and effective for 72 hours. It is also one of the few products on the market to contain ferulic acid (which I discuss later). 15% vitamin C as ascorbic acid. 1% vitamin E (alpha tocopherol). Inactive ingredients include ethoxydiglycol. Ferulic acid is derived from wheat, rice, and various fruits. The acid itself helps protect against multiple types of free radicals, such as superoxide and nitric oxide. Ferulic acid’s effectiveness increases when it’s combined with vitamins C and E. All-in-all, it’s seems to be a revolutionary addition to the world of anti-aging serums, and is what makes SkinCeuticals unique. In my previous research on vitamin C, I discussed how there can be several different chemical derivatives used in C serums. SkinCeuticals serum uses ascorbic acid, which is one of the least stable derivatives. Exposing the serum to air or light for a short period of time can cause it to oxidize at a much faster rate. This darkens the formula and may reduce its potency. I covered sodium hyaluronate earlier, but to recap, it is able to hold 1,000 times its weight in water and deeply penetrate the skin. 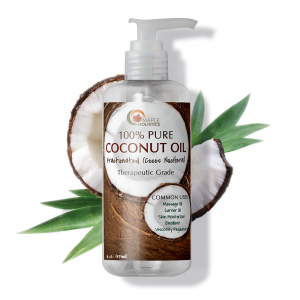 This allows it to help the skin feel softer and appear smoother after use. The vitamin E (alpha tocopherol) provides many protective benefits. As mentioned earlier, it helps protect the skin against UVB damage and provides moisture. In this case, it also synergizes with the ferulic acid to provide increased antioxidant-related benefits. The serum includes ethoxydiglycol, a solvent often used in cosmetics to thin out the product. Assuming it’s not inhaled, it doesn’t present a major issue. Summary: I’m much happier with the ingredients in SkinCeuticals’ C E Ferulic serum. It doesn’t contain artificial coloring. However, it uses a less stable derivative of vitamin C, making it more susceptible to oxidation. I tested SkinCeutials’ C E Ferulic for 8 weeks, noting ease-of application, absorption, and the overall results. For the sake of an accurate comparison, I made sure to use the same method of application as I did with Ole Henriksen’s Truth Serum. I applied it to a mildly damp, clean face after my morning shower. SkinCeuticals’ serum came in a dark bottle with a dropper built into the cap. I averaged 3-4 drops per application. One thing that immediately stood out was the serum’s dry texture; it did not feel oily at all. I know many vitamin C serums on the market feel greasy or have a sticky texture, so I was very happy with SkinCeuticals’ formula. I noticed some mild tingling in my face during the first week of application, but the sensation disappeared two days into the second week. The scent was not as pleasant as Ole Henrikson’s Truth Serum. It smelled like raw vitamin C tablets (open a bottle of C tablets and take a whiff, it’s not the most pleasant scent in the world). The formula spread very evenly over my face and upper neck and absorbed within 1 minute of application. Afterwards, there was no film on my face, nor was it sticky. My face had a more luminous glow immediately after the first application. Over the course of the 8 week period, my face felt softer and looked more rejuvenated with each use. I was amazed at how quickly the changes occurred. My skin tone noticeably improved as well. I saw a mild reduction in darker patches and was able to achieve more natural blending. I’m extremely pleased with the formulation and the fact it remains active for 72 hours. This translates to more time outdoors and less UVA/UVB skin damage! (I used it with a strong SPF cream). Summary: I love dry the formula. The results were immediate and became more pronounced as the weeks progressed. Although it did not smell exquisite, it was not overpowering. 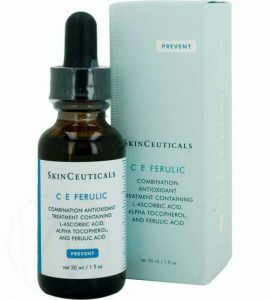 At $102.99 for 1 ounce, SkinCeuticals’ C E Ferulic is one of the more expensive vitamin C serums on the market. However, I was able to rationalize the cost by using the following formula. 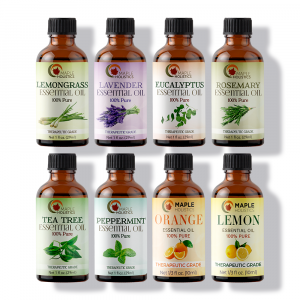 The formula is by far one of the most effective blends on the market. I saw a noticeable difference in my appearance within a short period of time. Update: I’ve been noticing that the formula is oxidizing faster than expected. I began keeping the bottle in the fridge in order to slow the rate of deterioration. I’m not sure how long it’s supposed to last before oxidizing, but this is one of the major problems that stems from using ascorbic acid (which is the least stable derivative of Vitamin C). Summary: One of the more expensive anti-aging serums on the market. Assuming I can squeeze 3-4 months out of a bottle, I would be willing to pay the high price for the premium results. 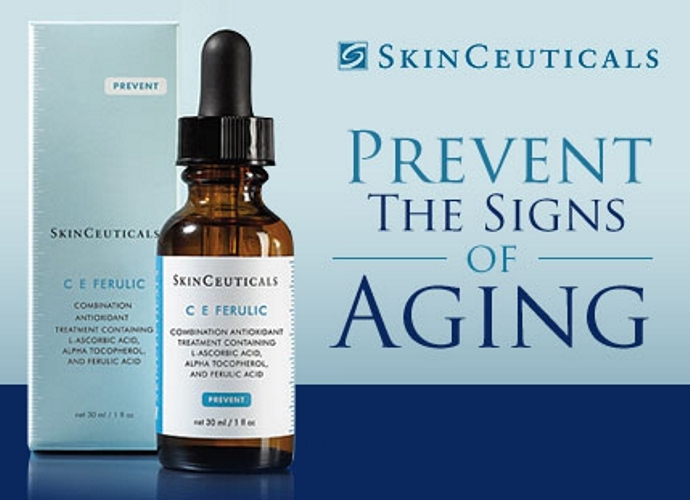 As Skinceuticals says, it really prevents the signs of aging. SkinCeuticals’ C E Ferulic is formulated with effective ingredients that produce results. The formula helped me attain glowing skin in a shorter period of time than I expected. Once absorbed, the formula is waterproof and remains effective for 72 hours. The ferulic acid provides maximum protection against harmful free radical damage. I don’t have to worry about application and maintenance. It’s perfect for those who lead active lifestyles and need the 72 hour wash-proof protection. Personally, I’m willing to pay the price tag for SkinCeuticals because it means fewer hassles and better looking skin. The formula also allows me maintain an active lifestyle. After application I layer it with a strong SPF and no longer have worry about skin damage or premature aging. As I said, this is easily one of the best treatments for preventing the onsets of aging I have encountered so far. I try a lot of different products every year – so sometimes it can be difficult for me to stick with a product when something new comes along. On the other hand, though, this also means that when I find a product that I like – I stick with it for a long time. Some may think this strange, but at the core, most of us are brand loyal to some degree or another. While I could recommend a few essential oils that work pretty well for treating the signs of aging, nothing I’ve found so far seems to have the same effect as the Skinceuticals Vitamin C Serum. I think this is largely because it’s such a carefully formulated product and every ingredient has been included for a very specific reason (and in just the right amounts), that a simple DIY recipe can’t really compete. It’s also a lot healthier than many of the conventional anti-aging serums and creams on the market today, which makes it a big winner in my books as far as anti-aging products go. The irony is that many companies or brands will use harmful chemical ingredients (such as phthalates, parabens, petrochemicals and a variety of other alcohol-based ingredients) to strengthen their formula in the hopes of making them more effective. In truth, all this does is worsen the issue as the chemicals will contaminate your body and lead to the rise of free-radicals, ultimately speeding up the aging process, rather than slowing it down. Due to this, I would recommend sticking to a product that is as healthy for your skin as it is for your body and the Skinceuticals Vitamin C Serum ticks off all the marks on my list here. So in short, yes – this product still works for me and is definitely one that I would recommend to anyone looking for a good anti-aging treatment that’s fuss-free and healthy. Do what feels right and boosts your confidence! Read about the Derma Roller and Make Up For Ever while you’re here at Maple Holistics! There are times in life when it’s simply not worth taking the cheaper route. I wouldn’t want to look back and feel the regret of knowing my skin could have been improved had I just splurged every few months. So yes, while this may be somewhat of a costly product, see it more as an investment for the health of your skin in old age. With a combination of healthy eating, good exercise and just the right amount of essential oils plus the Skinceuticals Vitamin C Serum – you’ll have healthier, firmer skin in no time that will hold as you move on into old age.